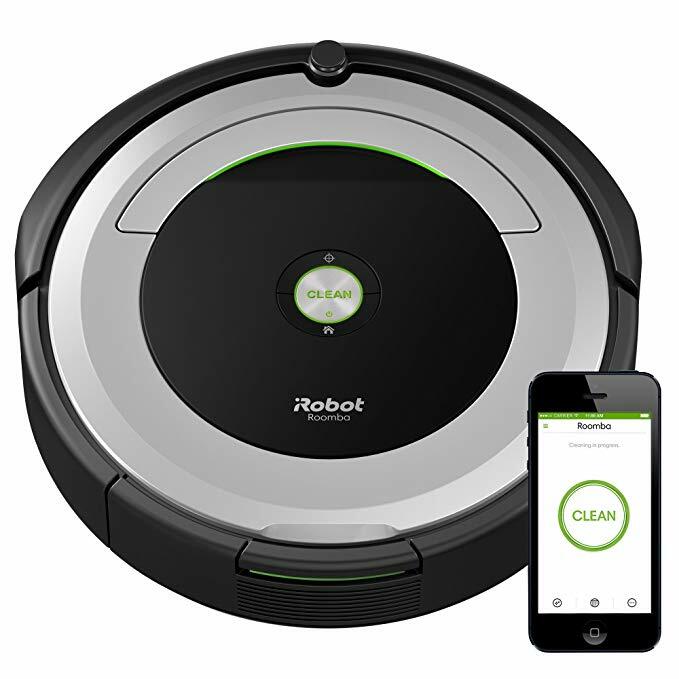 One of my sons surprised me with a robot vacuum cleaner for Christmas. I hadn't thought I wanted one, but I find it is fabulous. How happy I am when I am sitting on the sofa reading and my little robot is vacuuming the rug. I named her Ruth. She is a Roomba. I clean the tray every time Ruth my Roomba vacuums for me. I am amazed to see how much dog hair she vacuums up. It takes her about half an hour to vacuum the large living room, and the same amount of time to vacuum the wooden floors in the back of the house. One time she got stuck under my bed so firmly that my younger son had to lift the bed to free her. She is rather strong. Before I have her begin I police the floors for pet toys, my socks, electrical appliance cords, etc.Big cords are ok and she bumps them and leaves them alone but little ones like for head phones she will try to vacuum up. My cell phone tells me when Ruth has completed a job and when she is done she goes right to her charging station and charges her battery. You can set it up to use your phone to tell her when to clean; I don't care to do that. I think I need to keep an eye on her, she gets stuck once in a while. If she gets stuck she sends a message to my cell phone app and also speaks out loud explaining her problem, like "Roomba's left wheel is stuck". My favorite message from her thus far is "Roomba is stuck on the edge of a cliff." Do you have a house cleaning tip or useful appliance? One blog friend asked if a Roomba would fall down stairs; I have a one story house so haven't checked on that, but I read that it will stop if it encounters a drop in height. Thus her message to me about being on the edge of a cliff. But I haven't tested her on stairs. Another friend asked if Ruth my Roomba goes around chair legs and under tables, yes she does. Also my dog Bounce does not mind Ruth in the least, he is not frightened or interested. Of course he is not frightened, he is my 14 pound watch dog with a fearless heart! This is the companion piece to my previous post. I got the idea from Nora Ephron's book of essays titled "I Remember Nothing." Nora and I share two things on our lists, Illness and Funerals. Root canals. I had one today. Impossible to open packaging. When it says "tear here" I often can't. Being called "a deplorable" by a certain politician. Many of the above are boring repetitive chores. Wash dishes and they will soon need to be washed again, that sort of thing. This list is kind of a downer ! In heaven I won't be missing anything, but in this life it would be sweet if these things didn't occur. For a more upbeat post, read my previous post on "Things I Will Miss".